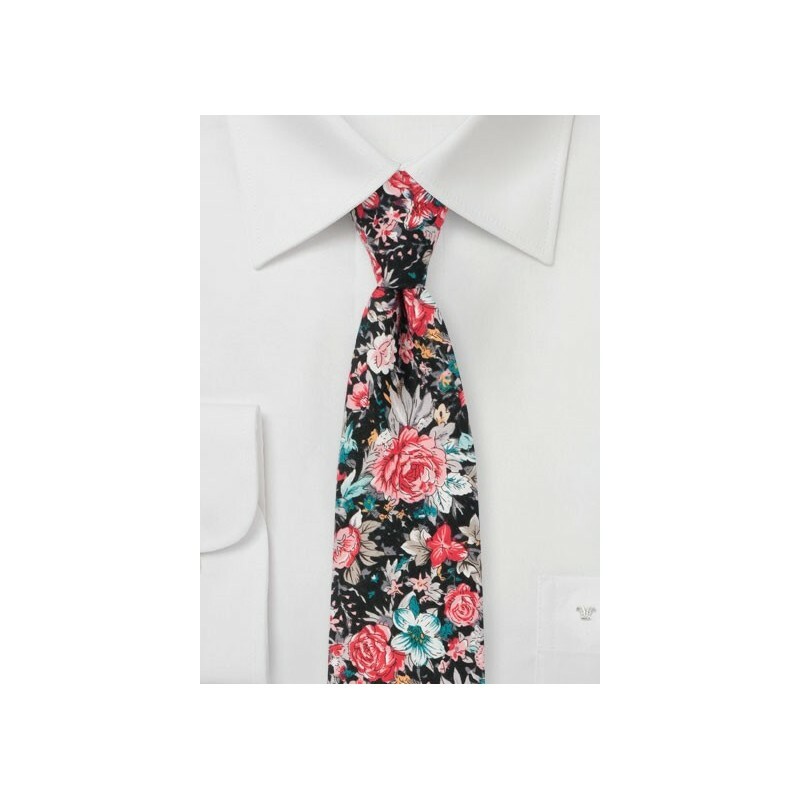 Make a statement for all the right reasons with this handsomely stylish floral tie by BlackBird. 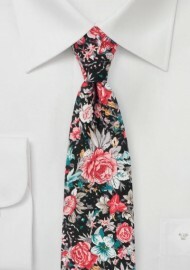 A loud and vibrant floral print in pinks, real, gray, and aqua sit on a black background. The slimmed down width and cotton fabric add to the modern and contemporary look/feel of this designer accessory.